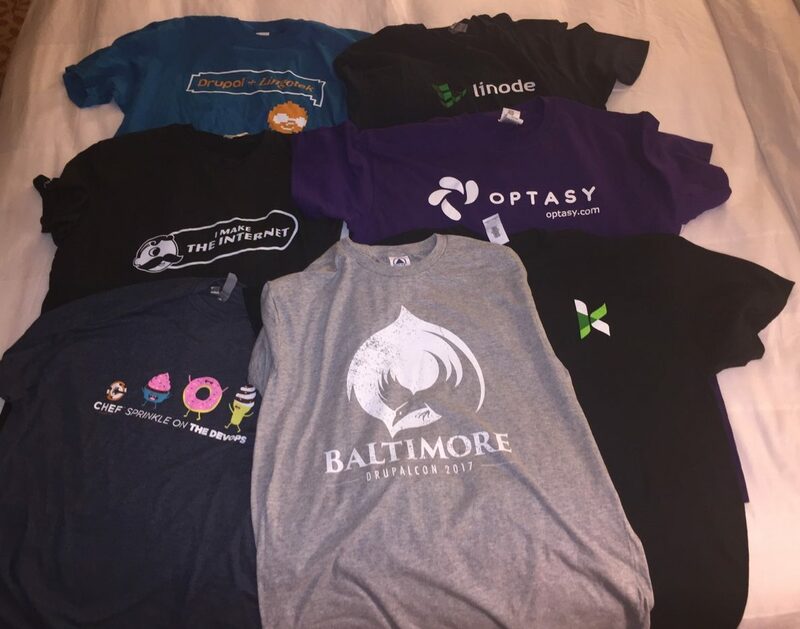 A few weeks ago I wrote about not taking free t-shirts from vendors at DrupalCon (or other tech conferences). Well DrupalCon North America 2017 has come and gone so I thought I’d report back on this year’s t-shirts. 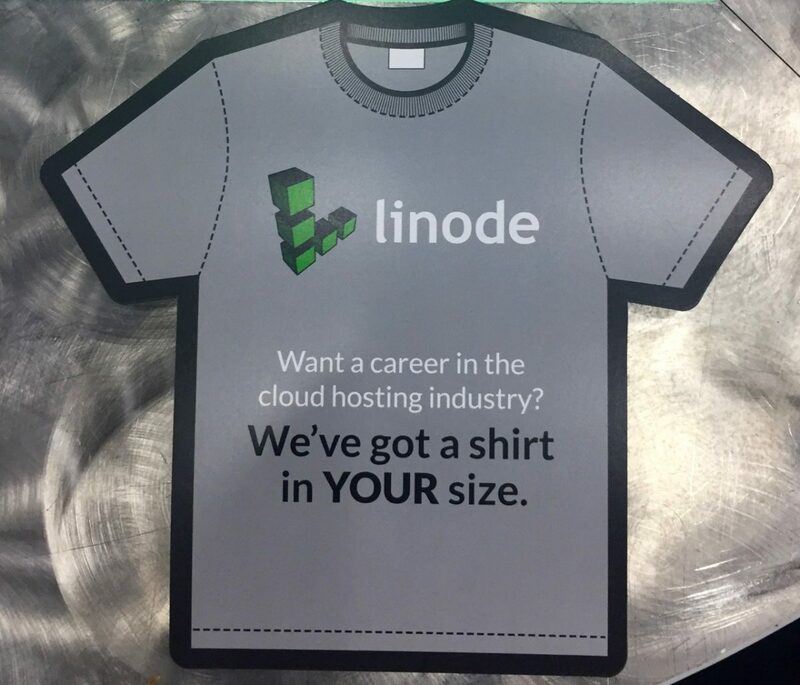 Want a career in the cloud hosting industry? We’ve got a shirt in YOUR size. Pantheon, as usual, had the most popular t-shirts with their custom printing shirts in a wide variety of sizes. That continues to be an amazing way to get people to watch their demo and collect contact information (although to be fair the demo itself is pretty amazing). There were also a few companies that tried to convince me that bringing “unisex” shirts was the same as if they had brought women’s sizes. Unisex shirts are, of course, just men’s shirts with a different label. And there are, of course, women who prefer the fit of that cut to shirts sold as women’s. But suggesting they work for everyone is just finding a new language for cheaping out. Arguably its worse than just forgetting that people come in different shapes since it shows someone thought about women looking for shirts but couldn’t be bothered to realize that most people want clothes that take into account their body shape. Ever met a guy who says he’s prefers how a woman’s cut shirt fits his body? 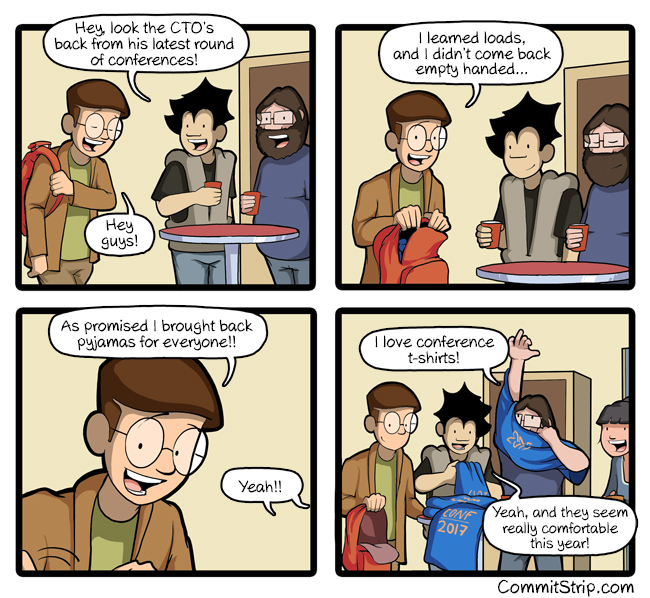 At least I didn’t hear anyone recommending using them as pajamas.